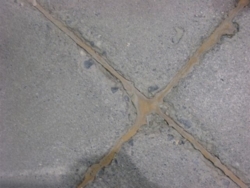 Commercial and Industrial concrete crack repairs and concrete slab jacking main page. The Crackman concrete restoration specialist uses only industry leading colour tinting products and durable concrete sealers. Below is a list of just a few of the industrial chemicals and products we use to ensure all of our concrete repair projects are durable. We have associated ourselves with Deneef Construction Chemicals and are approved applicators of their flexible grout systems. 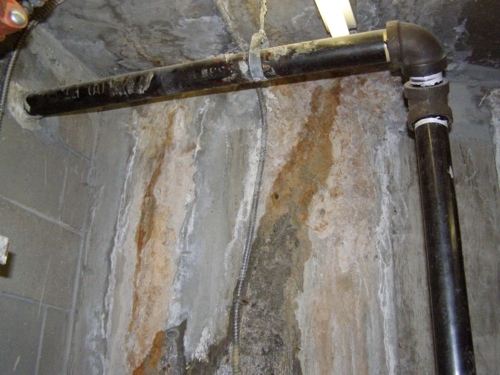 We can fix leaking foundations, groundwater leaks through floors, leaking water vessels, parkade floor and wall leaks. If you have a leak give us a call for a flexible, watertight solution. 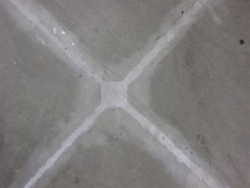 CSS Polymers Inc. provides Crackman with quality polymers to repair warehouse floors even in refridgerated warehouses. Our systems can have your 10,000 pound forklifts running over the repairs just 2 hours after the repair is complete. We also fix concrete cracks to prevent leakage down concrete walls, preventing damage to foundations and equipment. Do you have an uneven concrete floor in your commercial space - making it hard for forklifts to get around? Whether it is a warehouse floor or a concrete floor for precision machinery, let the Crackman repair and level your concrete surfaces. We operate our own slab jacking service and if we feel we are unable to provide the service properly we will recommend a competitor that will satisfy your slab jacking needs.